Strong immune system is very important for infants and kids. Children tend to get sick easily as their bodies grow and develop every single day. Colic, stomach irritation, allergy, constipation and other symptoms can be treated by taking probiotics supplements for adults. Researchers, medical professionals and nutritionists work hard to develop quality probiotic products for kids. Children get in contact with bacteria and viruses especially when flue and cold season starts, respiratory illnesses spread pretty fast with sneeze and cough. Number of antibiotics consumed every year increases and it is now number one killer of probiotics. What are Probiotics? They are good bacteria which, when ingested in sufficient quantities, provides beneficial effects to our body, specifically for our digestive and immune systems. When the intestinal flora is unbalanced, then bad bacteria take over, it leads to illness, digestive problems, fatigue and affect significantly children’s health. After taking antibiotics our doctor always gives us prescription for probiotics, what is great, but Teddy is very picky with tastes and does not like them at all. 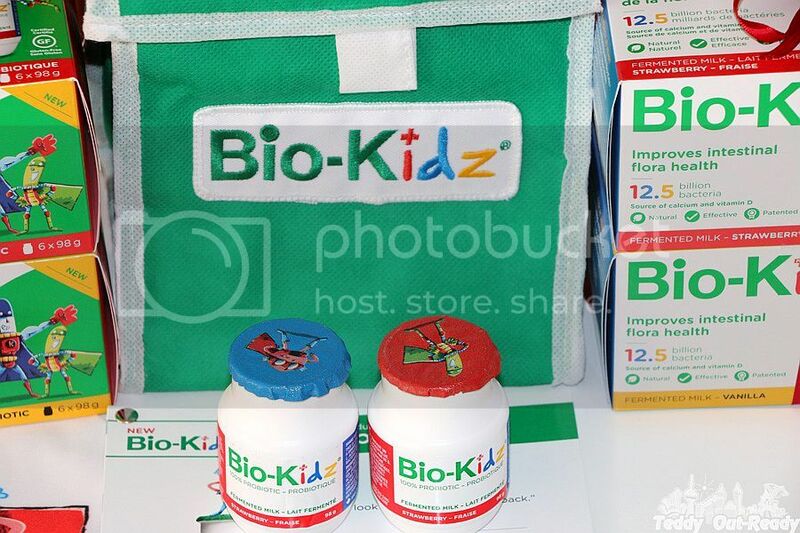 I am glad that Bio-K Plus, Canadian company based in Quebec, recently launched new probiotic product Bio-Kidz designed to improve kids’ intestinal flora health and strengthen children immune system. It is made of gluten free 100% probiotic fermented milk for children and embodied in 3 superheroes, three good bacteria to protect intestinal flora. 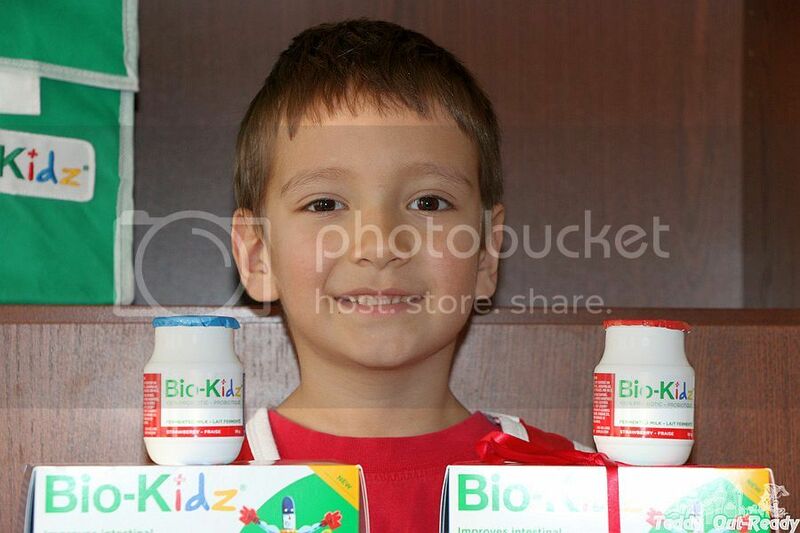 Bio-Kidz comes in a convenient single potion bottle in a liquid form and reminds a drinkable yogurt, but probiotic one. Our boy, with his love of milk but not yogurt, kefir, cottage cheese, surprisingly liked Bio-Kidz texture and strawberry and vanilla flavours. 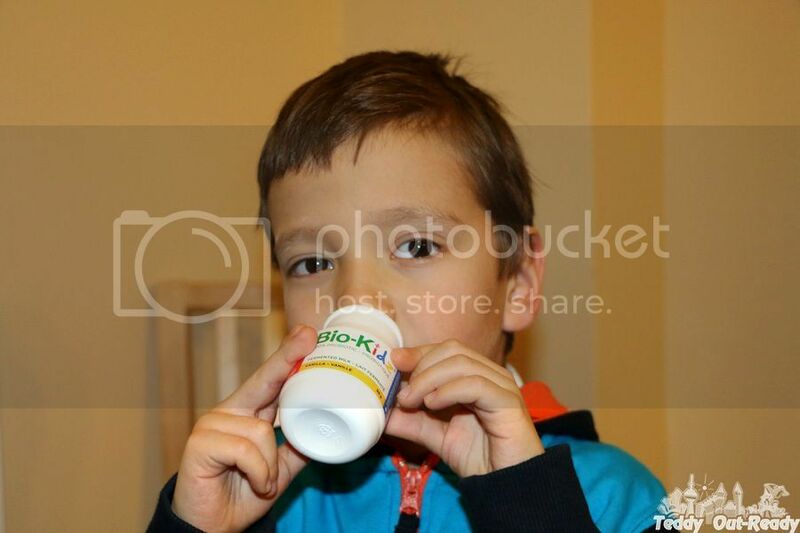 I think Bio-K did a good job creating Bio-Kidz, such a great combination of health benefits along with great taste, so that even our super picky boy likes drinking Bio-Kidz. 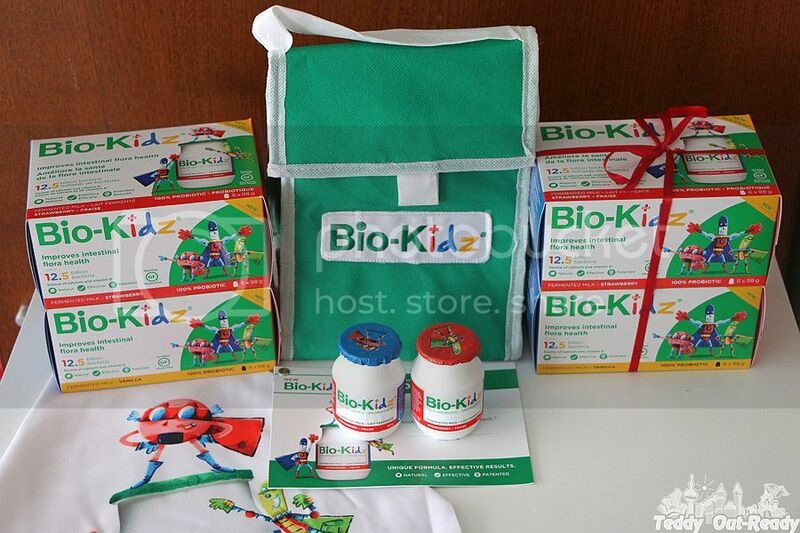 Developed specifically for children, Bio-Kidz is a good source of calcium and vitamin D, and contains 12.5 billion bacteria of unique, natural and patented formula. 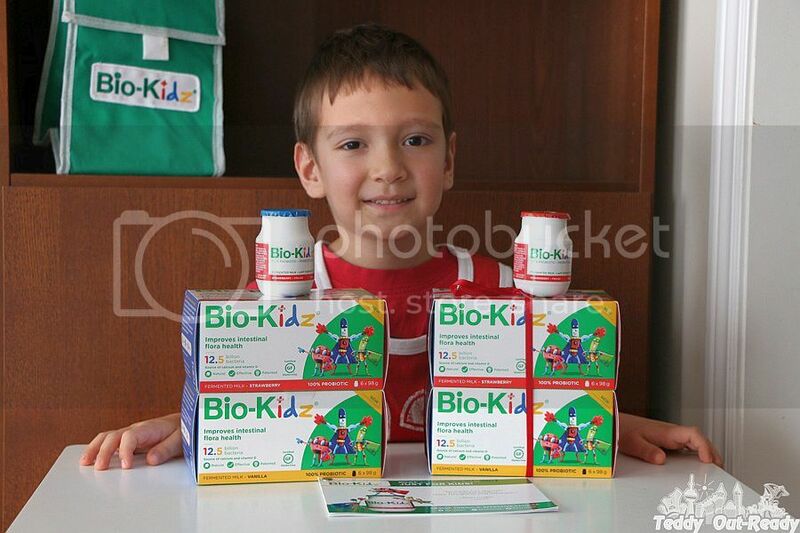 Bio-Kidz is available in pharmacies, grocery stores and natural health food stores across Canada $10.99 for 6 bottles. Healthy kids mean happy families, smarter students and strong communities, less sick days and more activities to enjoy.